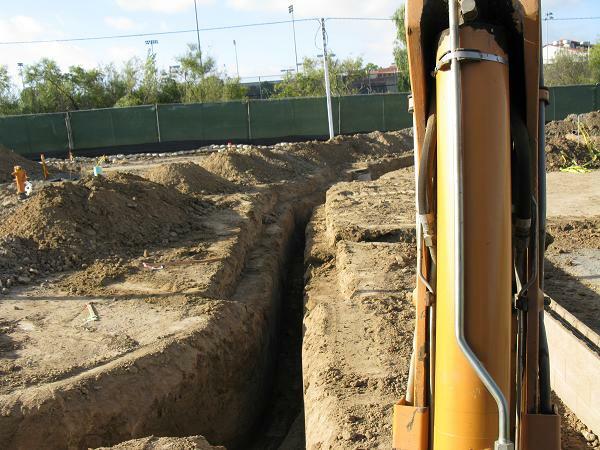 JOHN DELMATOFF BACKHOE SERVICE, INC has been serving southern California for over 22 years. We are incorporated and serve the Inland Empire, Orange, LA, San Bernardino and Riverside Counties. We have a General Engineering class A Contractors License #745242. We are a family owned business, and take pride in our workmanship. We have fully qualified & experienced operators where our customers can feel at ease with the quality speed and care of work being done. SERVICE: We provide excellent footings operators so as to create a cleaner and straighter trench as to not require extra concrete, which in turn eliminates that extra cost. We specialize in footings, utility, plumbing, septic tank install & removal, gas lines. Pools & slope excavation & “V” ditches. We work by hour or total bid.